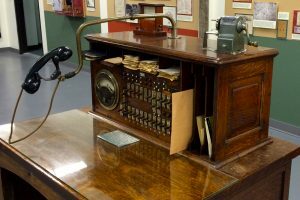 The history of the telephone in Jefferson can be traced back to 1882, when a private two telephone installation connected the Milligan Elevator Company’s elevator on the North Western Railroad tracks to their mill south of Jefferson near the present golf course. Charles Cockerill started the first public telephone exchange in Jefferson. In 1891, the Jefferson City Council passed a resolution granting the Cockerill Telephone Company the right to use the streets and alleys to erect poles. 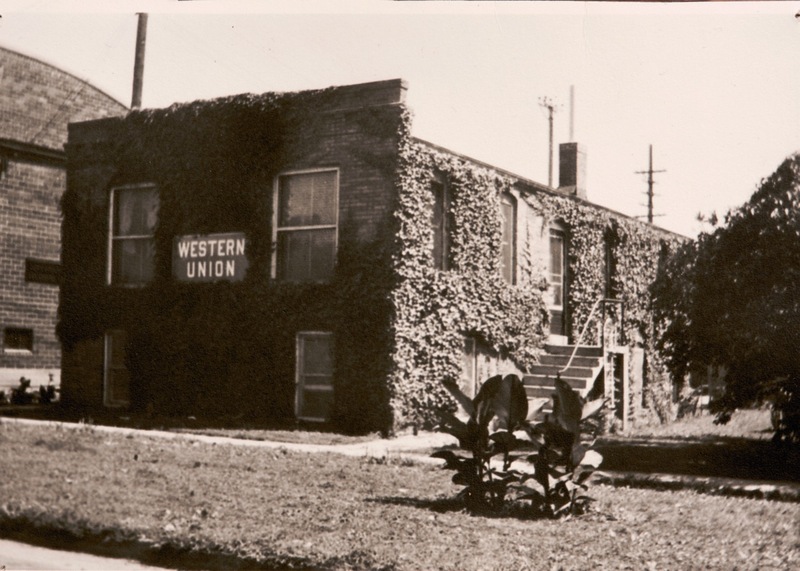 In 1912, this company was acquired by Northwestern Bell Telephone Company. In 1903, a second company was formed called the Farmers Mutual Company (later changed to Citizens Mutual Company). 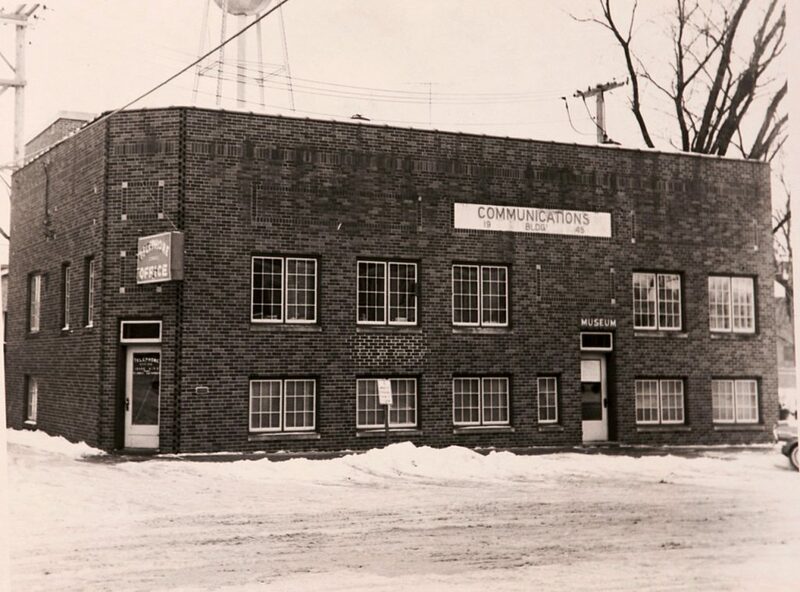 From 1903 to 1940 there were two competing telephone companies in Jefferson. This duplication of service made it necessary to have two telephones (one from each company) in order to make connection to everyone in Jefferson! These two companies were consolidated to form the present Jefferson Telephone Company in 1938. Since its inception, the Jefferson Telephone Company strove to provide quality service at fair rates. In its history it has been an industry leader in providing the latest in technology. 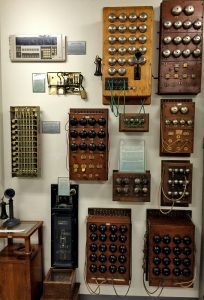 Some of these include: being one of the first in Iowa to furnish full metallic common battery, full selective ringing to its farm subscribers; being the first in the United States to install a ringing converter known as the K-5, a machine which allowed ringing any one of ten parties on a farm line without ringing other telephones on the same line; and the first commercial telephone company in Iowa to receive a two way radio permit in 1945. In more recent times, dial switching was installed in 1957 and direct distance dialing equipment in 1968. That equipment was in service until July 17, 1982, when a digital switching system (NEAX61K) was placed in operation. With that change the Jefferson Telephone Company was in the first 15% nationally to convert to digital. In 1991, Jefferson Telephone Company became an agent for US Cellular. In 1995, new fiber facilities were placed in service for toll calls. In 1996, a new digital switch was placed in service in order to expand features and services such as caller id. Dial up internet was first introduced in 1996 to local customers, and high speed internet was available in 1999. 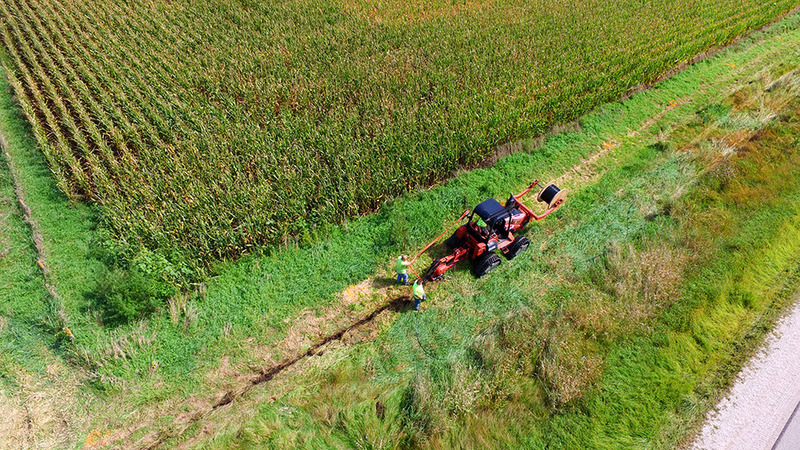 In 2001, Jefferson Telephone Company once again upgraded their system by burying fiber optic cable through the rural areas replacing buried copper cable. The project helped to provide high speed Internet to the rural area and developed a backbone for future technology upgrades. In 2004, Jefferson Telephone Company started offering cable TV to their customers and added two local programming channels. Advances continue to be made to the cable TV offerings with the addition of numerous high definition channels. Our name was then changed to Jefferson Telephone & Cablevision to encompass the cablevision addition. The future will hold continued advances in technology, and we look forward to bringing the latest upgrades to our customers. Over the years the need for a retail center have been discussed and in 2009 ground was broken to add a 5,200 square foot addition to the current facility. The additional retail center caters to the customer by being at ground level and offering an array of additional products to make buying options easier for the customer. A large selection of cellular smartphones with the latest Apple and Android devices plus an assortment of accessories is available in the showroom. Our name was changed to Jefferson Telecom to better encompass the services that we offer. 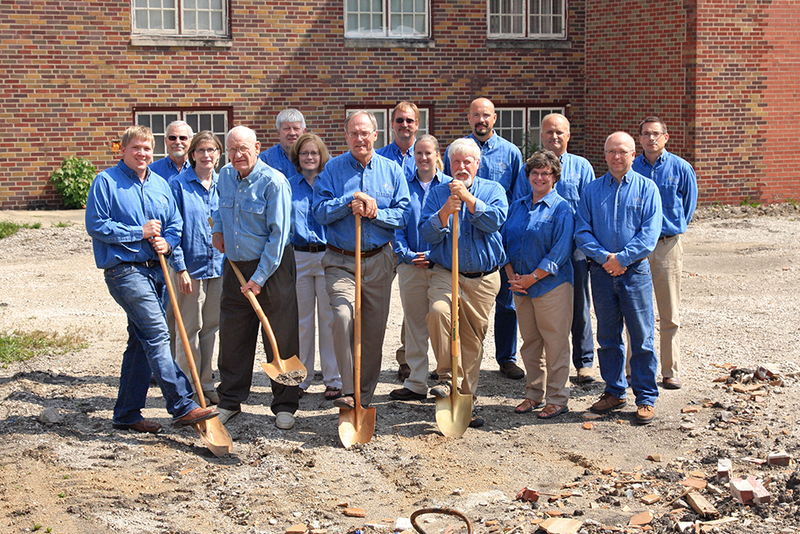 Jefferson Telecom is now in its fifth generation of involvement by the Daubendiek family. The family has great pride in the communities in which they serve and they look forward to bringing the latest upgrades in technology to the customers in the exchange. 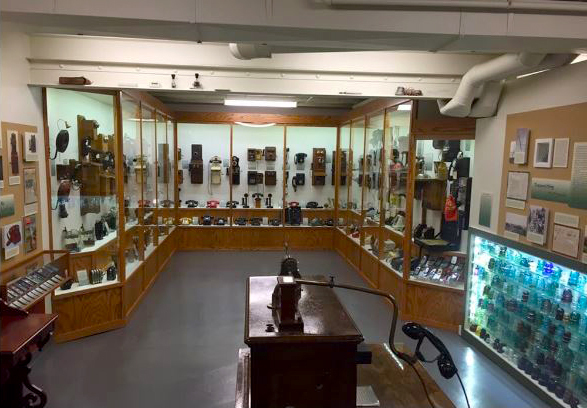 The museum, one of the first in the nation dedicated to the preservation of telephone history, was started in 1957. Many of the items were collected by the Daubendiek family. Other items were donated by other parties interested in the preservation of the past of the telephone industry. The trophy fish and mammals were collected by C.H. Daubendiek and more recently by current General Manager, Jim Daubendiek. The museum is open Monday through Friday from 9 AM to 4 PM. 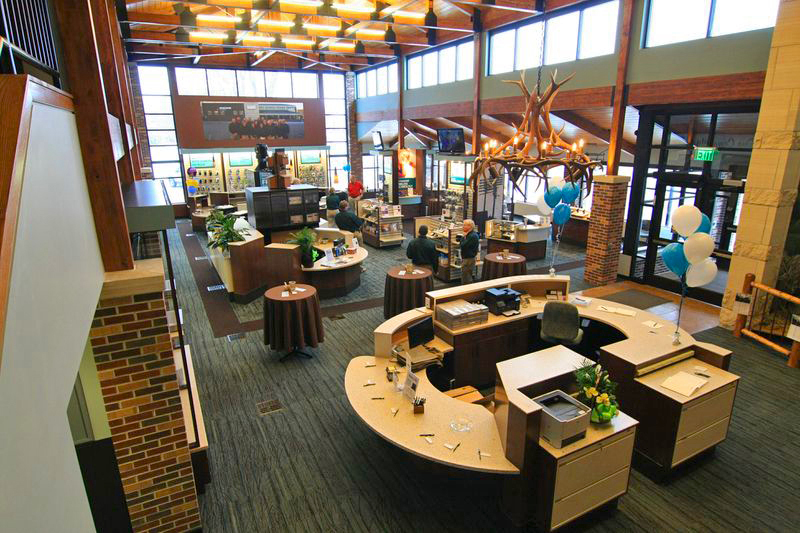 Larger groups are asked to call 515-386-4141 to schedule a convenient tour time.